Start the week off with a pleasant day of museum-going at the PAMM or the Wolfsonian. Museums are typically known for being closed on Mondays worldwide, but in Miami, there is something to do every day of the week. 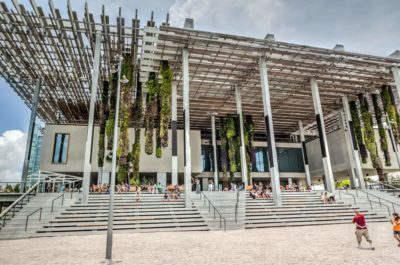 See the modern and contemporary art that lies within the halls of PAMM, or see the design marvels in the Wolfonian, both have remarkable collections that don't disappoint.